Ever wonder what life is like for our First Legal employees? We’re so excited to bring you our first series of employee spotlights! The spotlights will showcase not only the different departments but also the individuals that make up the First Legal family. 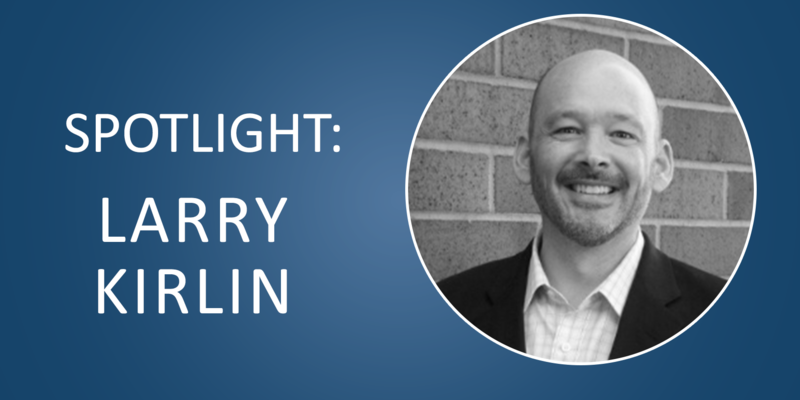 Read on to find out more about Larry Kirlin! You’re currently a Regional Manager and the eProducts Manager at First Legal. Can you tell us a little bit about your positions and what your day to day routine looks like? Sure! As the regional manager, I’m kind of a manager of our other managers. We have multiple offices, and they all have their own managers on-site. It’s my job to make sure that those people have what they need. I also weigh in on operational things like vacations and client issues. I'm their connection to corporate, and I help make them aware of new mandates. In my capacity as the eProducts manager, I act as a resource for the company. 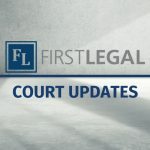 Court rules are constantly changing, and I’m a key source of information for eFiling and eService. I also work extensively with marketing because we’re constantly creating new training and sales materials to keep people informed. So, if you don’t mind my asking, what exactly are eProducts? eFiling and eService. I also take care of our Odyssey Portal and other electronic processes like our concierge service. A client can send us an email to let us know what they need done, and we make it happen. Oh, yeah! It’s something we typically do with eFiling, and it’s great for clients who don’t have time to go through all the little steps. Concierge service really helps if you’re filing in an unfamiliar court or simply don’t have time to format documents and go through the database portal steps. If there is follow up that needs to happen, we handle that. That makes sense! You have some fairly diverse responsibilities! Do you have a favorite project that you’ve worked on at First Legal? I would have to say the Odyssey Portal! In the beginning, I helped get it set up, even though I didn’t create or write the software. I was handling the business side of the process. One of the big tasks was contacting all the different vendors and workingclosely with them and with our internal developers to get the portal up and running. That’s so impressive! You really wear a lot of hats here at First Legal! How did you first hear about us, and what initially drew you to the company? I was actually recruited through some pretty unique circumstances. When I was brought in, the person running the interview told me a story about how they’d recently lost an entire office of people to a rival company. This happened on a Friday afternoon, but by Monday morning, people from other offices had flown in and gotten that office back up and running. It was just such an impressive example of ingenuity, and of a company that knew how to roll with the punches. Of course, that sounds like something you know a lot about yourself! Is there something specific that you like most about your job? I think ultimately I just love having the opportunity to solve problems, and I love actually solving them. I like when we can really put something to bed and make it work better forever, rather than just putting a band-aid on a problem. Before working at First Legal, what was your most unusual or interesting job? I was active duty and reservist in the Navy for 25 years. I was a Master Chief Petty officer in the Navy. At one point during active duty, I was stationed near Fresno, and I took classes that would transfer back to Fresno State. I finished a degree in electrical engineering while I was there, then I got into the legal support industry as a part-time job. Ultimately, I continued my education and was promoted. Even after I graduated, I ended up getting a minor in marketing. This is not so much advice, but we have the craziest clients. The stuff that they ask us to do is unrealistic, and you have 10 minutes to get 13 things done. We get rushes and crazy requests. Even if you think you worked at a busy job before, the things that people will ask of you here are so outrageous compared to anywhere else. We’re a big enough company to handle this, and if you’ve got a deadline in an hour, there’s really no one else who can do it. But next time we have 30 fewer minutes. They ask the impossible, and we magically make it happen while making it look easy! Is there anything you think our clients or your coworkers might be surprised to know about you, or about your job? I think most people don’t realize I’m the president of CALSPro. CALSPro is the trade association for the legal support industry, and many of our competitors are also members. The organization is fairly large, and we also have an education certification program. First Legal has been very supportive, and they’ve really made it possible for me to take on this job in addition to the work I do here. Finally, my last question is: What 3 words do you think best describe First Legal? Thanks so much for sitting down with us, Larry! It’s been a pleasure talking to you!